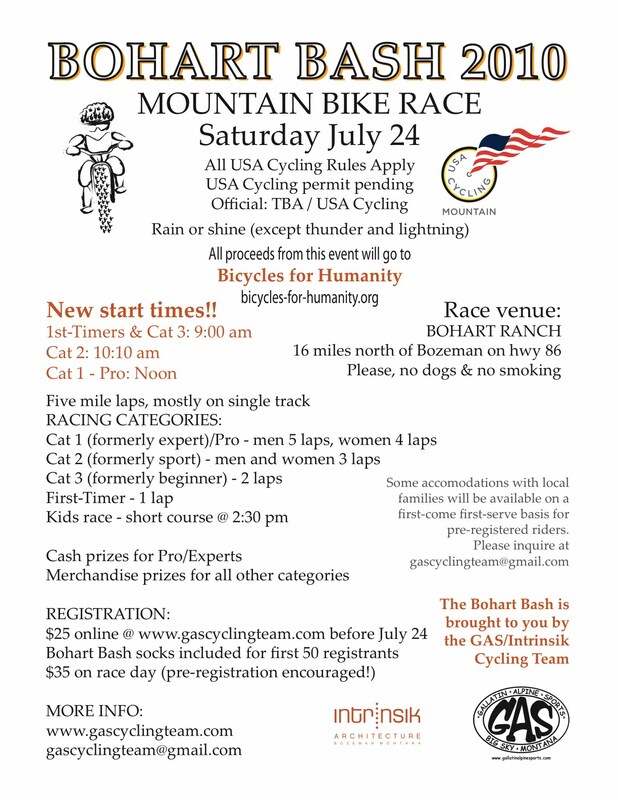 Bohart Bash is a sweet mountain bike race. The festive family atmosphere and the circuit course are something we don't get enough of in Montana. The GAS Team does a great job making the event not only fun for racers but for spectators. I encourage everyone to try it. If not this year, sometime.....it's well worth it. Thanks Montana Cyclocross! The Bash IS super fun. 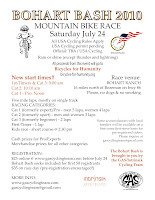 And for your typical entry fee, at the Bash you also get food, beer, and live entertainment. High participation and great sponsors are the only way to make that happen. See you Saturday!